ORDER VINYL AT HHV (DE), JET SET (JP), JUNO (UK), PLATO MANIA (EU), PROXIS (BE), RECORDFRIEND (NL), RUSH HOUR (NL) ETC. Fremdtunes – the series 1 is the first official label-sampler with tracks by Coco Bryce (ft Gumshoe, Incks & Mace), DJ Optimus, Kid Sundance (ft Rescue) & Solo Moderna. 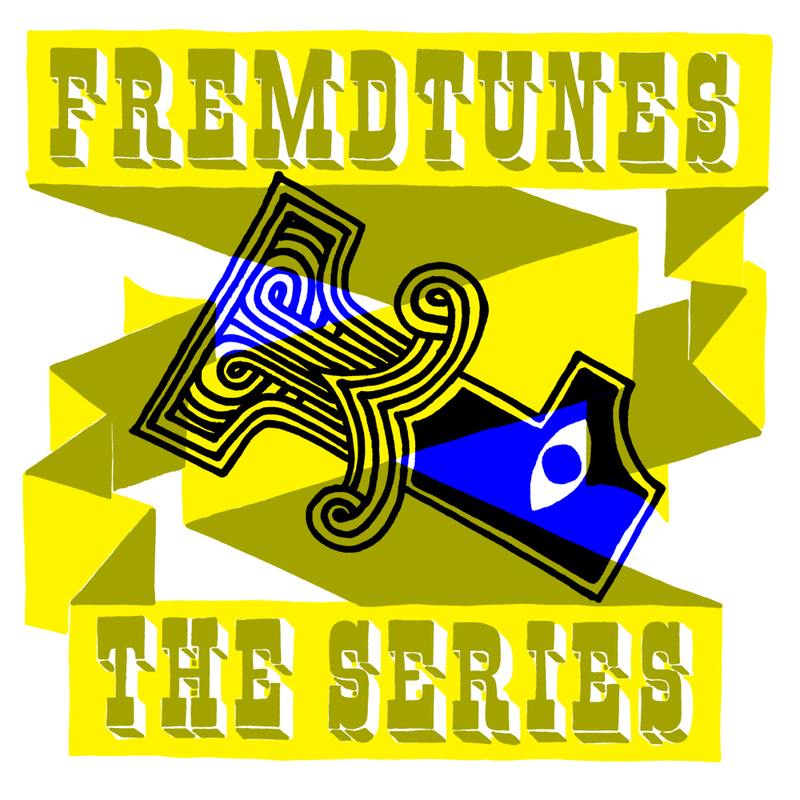 Fremdtunes – the series shows a cross-section of the diverse music-styles the label focusses on. Spherical hiphop as well as dubby funkstep appear on this 4-track 12” vinyl piece and digital release. Although the tracks vary in style, all artists share a similar love for the art of cut-and-paste and are all known for being DJ ánd producer. DJ OPTIMUS is DJ/producer/musician/turntablist, co-owner of Fremdtunes and member of Grazzhoppa’s DJ Big Band, Ill Productionz & iET. He’s currently working on his first full-length LP (which features El da Sensei and Prince Po amongst others). The track ‘And only practice…’ also appears on his début. COCO BRYCE is producer/DJ, label-owner (Myor) and musical omnivore. He’s known for his eclectic, dubstep, skweee DJ-sets & productions, collabs with artists like Slugabed and releases on Harmönia, Mässy, Astro:Dynamics, Car Crash Set and others. On Fremdtunes – the series 1 he teams up with mc’s Gumshoe (The Proov) and Incks (Real Phresh Music) and Dutch DJ Mace on a track called ‘Something for your mind’. KID SUNDANCE has been a household name in the music-scene for quite some time. He’s a member of the Boomoperators, worked with various artists like Dudley Perkins and Busy Bee and released music on the well-known Jazzy Sport label. Sundance remixed the track ‘The ultimate rhythmmachine’ by OptiMace ft Erwin Vann (release on Fremdtunes) and created a spherical masterpiece. Producer/DJ SOLO MODERNA takes care of the last track on this label-sampler with a remix of ‘Sidewalk surfers & eccentric dancers’, originally made by Fremdkunst. Moderna turns the original surf/breakbeat track into a dubby funkstep tune. Moderna released his solo-début Boogalookalikes in 2007 on Social Beat and released tracks & remixes on labels like Jazz & Milk, Schema and Tru Thoughts.